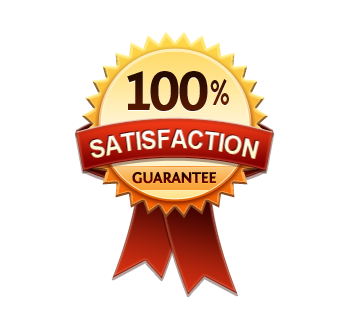 Pest Control Sacramento Company Specialized Pest Patrol is highly rated across the Internet. Jump to article » This article sharing pest control information is provided by Pest Control Sacramento Company Specialized Pest Patrol, Sacramento's leading provider of pest control. We serve Sacramento, Folsom, Elk Grove, Roseville and many other locations. Call 916-987-9559 (Pest Control Folsom) and 916-224-7430 (Pest Control Sacramento) and get your first service free! While there are absolutely pests that require immediate professional pest control services – bedbugs, raccoons, and rodents come to mind – there are also a few common household pests that, provided their populations in and around your home aren’t too numerous, can likely be dealt with on your own, using a few handy tips. Most at-home pest control sprays are most effective when they dry, leaving a water-based residue behind, which gets trapped in pests’ feet, scales, and fur, and end up killing them during grooming later. Spiders are tricky in that they usually are not groomers, so you have to target their prey, which means finding their prey, through strategically-placed glue traps and sprays. When the spider eats its prey, goodbye spidey. Roaches can be tricky because they live in nests with others and are big fans of human food and water sources. For this reason, the best way to get rid of them is through gel bait, placed in traps in your kitchen, under the sink, in your pantry, and in your bathroom. With branch locations in Folsom, CA and Sacramento, CA, Pest Control Sacramento Company Specialized Pest Patrol has been providing effective, affordable and eco-friendly pest control throughout Sacramento County, Placer County and El Dorado County areas since 1994. Call 916-987-9559 (Pest Control Folsom) and 916-224-7430 (Pest Control Sacramento) and get your first service free! Pest Control Sacramento Company Specialized Pest Patrol have built our business around excellent customer service and providing effective and affordable solutions for pest control and pest problems. View a few of our many great pest control service reviews taken from our highly rated Yelp page. 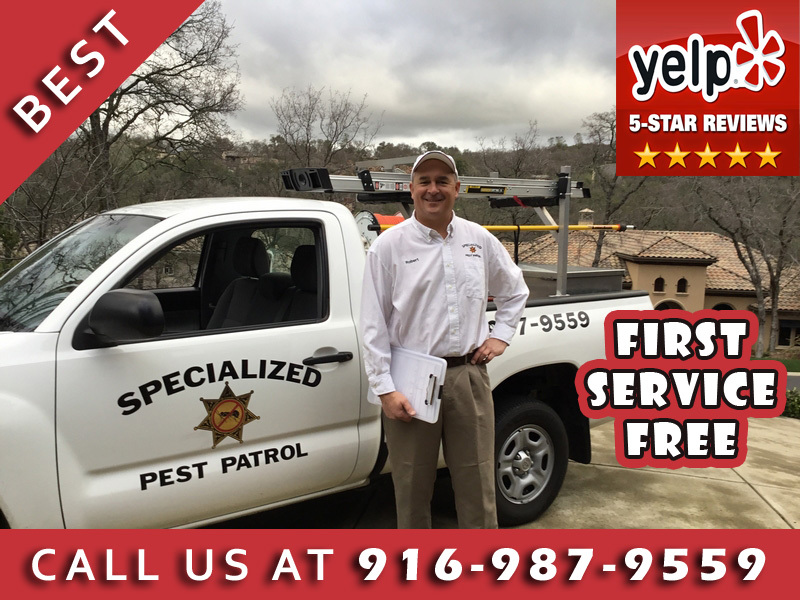 Pest Control Sacramento Company Specialized Pest Patrol Reviews, View our Yelp Page! Pest Control Sacramento Company Specialized Pest Patrol is a top pest control company in both customer satisfaction and price! View one of our many great pest control reviews taken from our highly rated Yelp page. 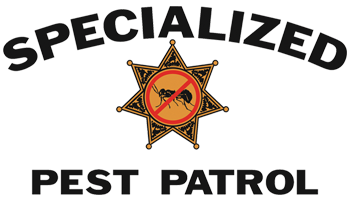 View Specialized Pest Patrol pest control license number on the California Department of Consumer Affairs website. All our exterminator technicians here at Pest Control Sacramento Company Specialized Pest Patrol are certified and passed background and drug checks ensuring not only a great job in performing pest control but also providing you added safety. The best pest control services in require constant learning of effective methods with implementation, and we adhere to that making us the best. Our pest control methods are the best in the industry with optimal results for our customers. Contact us at 916-987-9559 (Pest Control Folsom) and 916-224-7430 (Pest Control Sacramento) to see how we can help you with your pest control needs. Whether you are looking to eliminate pests in your residential home or commercial property, Pest Control Sacramento Company Specialized Pest Patrol has the equipment, experience and expertise to perform pest control of any size. We at Pest Control Sacramento Company Specialized Pest Patrol are fully licensed and insured and use only environmentally safe chemicals that won't hurt the earth or your family. Pest Control Sacramento Company Specialized Pest Patrol is the top pest control company in Sacramento, Folsom and all of our pest control service areas! Our pest control methods safely and effectively remove pest infestations which can cause discomfort and injury like shown in the video below. With branch locations in Folsom, CA and Sacramento, CA, Specialized Pest Patrol has been providing effective, affordable and eco-friendly pest control throughout Sacramento County, Placer County and El Dorado County areas since 1994. Call 916-987-9559 (Pest Control Folsom) and 916-224-7430 (Pest Control Sacramento) and get your first service free! 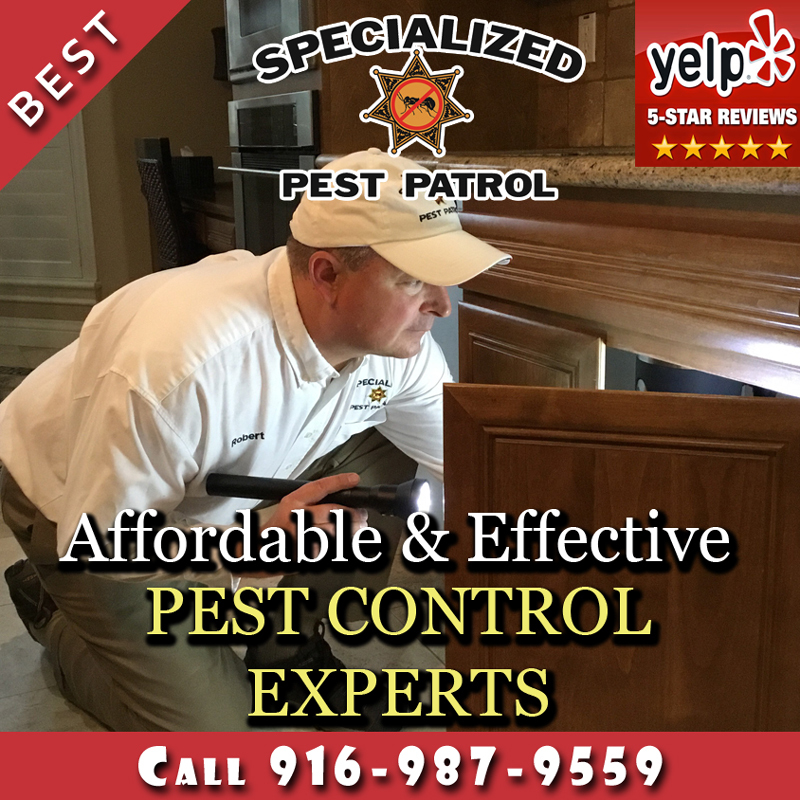 Specialized Pest Patrol is Rated 2018 Best & Most Affordable Pest Control Company in Sacramento, Folsom, Roseville, Elk Grove and all of our Pest Control Service Areas. Ready To Get Your Pest Problems Solved Through Effective Pest Control? Pest Control Sacramento services, Pest Control Roseville CA services, Pest Control Elk Grove CA services and Folsom Pest Control services are performed exceptionally well by Specialized Pest Patrol as evidenced by our reviews on Yelp, Folsom Living, Google (Folsom Pest Control Branch Location), Google (Sacramento Pest Control Branch Location) and other reputable websites. We also provide great customer service and the first residential pest control service free for new customers. Specialized Pest Patrol is insured and licensed to perform Pest Control in Sacramento, Folsom, Roseville and all of our service areas. Our pest control license number is 5745. All our pest control technicians have expert knowledge and experience in addition to thorough background and regular drug tests to ensure the safety of our customers. View Specialized Pest Patrol's Pest Control Services which showcases our quality pest extermination and wildlife trapping services. Specialized Pest Patrol website showcases great reviews, in-depth articles on our blog with pest control tips and testimonials showcasing we're the best Pest Control Company in Sacramento, Folsom, Roseville and other service areas. If you need highly effective pest control services along with great customer service and affordable costs, Specialized Pest Patrol is your number one choice. Pest Control Sacramento Company Specialized Pest Patrol is a top rated company. We've highly trained experienced pest control experts performing spider pest control, ant control, rodent control and more. Pest Control Folsom Company Specialized Pest Patrol is a top rated company. We've highly trained experienced pest control experts performing spider pest control, ant control, rodent control and more. Specialized Pest Patrol provides effective affordable pest control services within Sacramento, Folsom, Elk Grove, Roseville and many other locations).